On Monday Governor David Paterson signed "Amanda's Law" into New York State law, making it mandatory for all homes to be equipped with a carbon monoxide detector. The law is named after Amanda Hansen, the 16-year-old West Seneca girl who lost her life to a carbon monoxide leak while at a sleepover party. The bill that became Amanda's Law was drafted by South Buffalo Assemblymember Mark Schroeder at the behest of the Hansen family. Carbon monoxide leaks are particularly prevalent in multi-unit homes, such as those throughout the University Heights, where shared utilities often cause mechanical problems. Carbon monoxide is known as the 'silent killer' because it is undetectable without a CO detector and can kill within minutes. As of right now, there is no funding to distribute carbon monoxide detectors on a large scale. However, everyone should take it as a personal responsibility to provide their homes with these life saving devices and ensure those in your home will be protected. 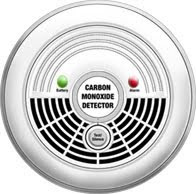 Carbon Monoxide Detectors can be bought at hardware stores, such as ABC Rental on Bailey Avenue for $26.